Hazelnuts: Top 5 Health Benefits and why you should eat them! 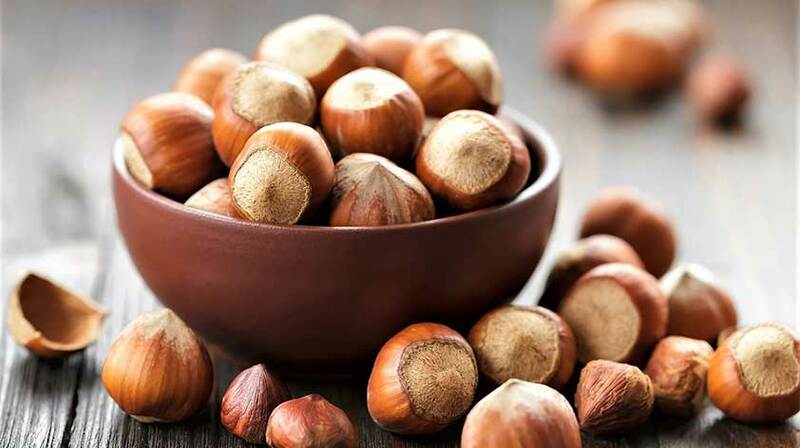 Home » Diet » Top 5 Health Benefits of Hazelnuts! Everyone has a nut that they cannot resist, from pine nuts to the humble peanut, nuts are a fantastic source of natural fats that you cannot get enough of. Hazelnuts are a listed superfood with tons of health benefits as well as an excellent flavour. There are, however, some misconceptions about hazelnuts including the idea that they contain lots of cholesterol which scientists have disputed. They are actually low in cholesterol and high in healthy fats. So get nuts about these nuts with our Top 5 Health Benefits of Hazelnuts! According to Dr D. G. Richardson, this is one of the number one causes of death amongst young adults in the USA. He states that whilst most nuts contain the oils necessary to help prevent CHD, hazelnuts have been proven to reduce your risk of nefarious heart disease as well as several other types of cancer. This is because hazelnuts contain high amounts of tocopherol (Vitamin E) which is a powerful antioxidant, vitamin B6 and oleic acids. Vitamin B (B12 and B6, in particular) is an important part of your metabolic diet that tends to come from dairy and meat products. These vitamins affect things like your brain function and are one of the more common deficiencies seen in adolescents and children. Hazelnuts are a great natural source of vitamin B6 so if you want to be on the ball for your studies, that job interview or build your own empire, a handful of these nuts will help! In an older study conducted for The Journal of Lipid Research, polyunsaturated and monounsaturated fats were proven to have less cholesterol making them better for you to consume than saturated fats. Hazelnuts are high in both of these fats so if you’re looking to cut saturated fat out of your diet, hazelnuts are a great source of the healthier version. Alongside helping your heart, hazelnuts have proven health benefits which affect your skin. According to The American Journal of Critical Nutrition, vitamin E has a significant effect on plasma concentration in your skin which suggests your favourite vitamin E-rich food stuff is good for your skin as well as your heart. Bio Oil is rich in vitamin E so if you have issues with your skin, you can choose to chow down on some hazelnuts or apply the vitamin directly to your complaint. Either way, you’ll be benefiting from this powerful nut. These two minerals are usually found in leafy greens like spinach. They are important for your bones, enzymes, and even affect your ability to absorb nutrients. Hazelnuts are great for magnesium and manganese so eating a decent amount of nuts will help you strengthen your bones, fortify your brain and protect your heart. 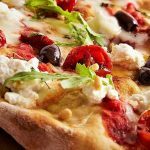 Diet Hacks - Pizza: Your Perfect Partner!